In addition to our yummy taste, Bag Ladies Tea tins are just as delectable to the eyes! Lots have happened over the past ten years. We have won two prestigious packaging awards from HOW and Print magazines, the design industry’s premiere trade publications. We have had acclaim from the Boston Globe, The New York Times, The LA Times and media across the country but perhaps the highlight of our comeuppance was being featured on The Today Show. After choosing from among 60,000 products present at the Fancy Food Show, The Today Show chose Bag Ladies Tea to be featured on their Top 10 list. Seeing Al Roker reading some of our funniest quotes was quite amusing. We have a lot of fun here. In addition, like many companies today, we want to give back. We have created a theme literally close to our hearts called “In the Pink” for breast cancer research and education. Though a debilitating disease, we still decided to add humor and inspiration to the cure or prevention of breast cancer. And we also give to the Bag Ladies Tea Book Project. My sister Alice is a teacher of teachers. My sister Carol teaches children how to bring a story to life. My sister Susan has worked to collect over 350,000 children’s books for children in Tampa Bay. My brother Joseph started a foundation this year letsgetthis.org whose first effort collected 25,000 children’s books and collected over $25,000 to purchase books for children who have none. My daughter Kayla, a student at NYU, has shared her love of literacy with the America Reads program for the past three years. We all want to share the comfort, joy, inspiration, wisdom, and escape that a good book offers. With this lifelong inspiration, I added NovelTeas to my line of teas. Each tag has a different quote about books. Our box of tea is an excellent gift for book lovers. It is an affordable addition to a gift card and an ideal gift for teachers. 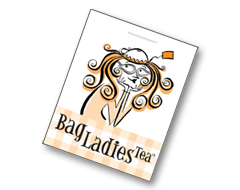 5% percent of every purchase of NovelTeas will be donated to the Bag Ladies Tea Book Project. 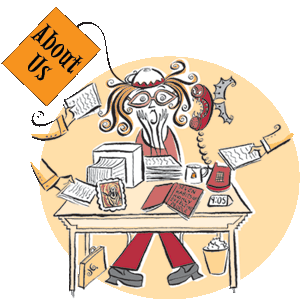 We continue to create and design new themes for the coming seasons and will keep you informed of anything new..